This is our past. With passion and proficiency that are always associated to us, we face the present and we are going to write our future…. IDROINOX IMPIANTI Srl was born in February 1984 with the aim of “transferring without contaminating”, which is still the inspirational motive of our company. In the course of time, our company gained an upward and onward position in the national and international context, addressing the food, pharmaceutical, cosmetic and electronic field, up to facilities for hospital and water purification plants. Thanks to our continuous pursuit of excellence, IDROINOX IMPIANTI proved to be a pioneer in the use of orbital welder from the 1980s and obtained ISO certification in the 1990s and PED in the early 2000s. Those important certifications let the company build “key in hand” plants in complete autonomy. Due to an important development, in 2005 our company moved to our current head office, expanded and automatized its productive areas and renovated its design and customer service areas. 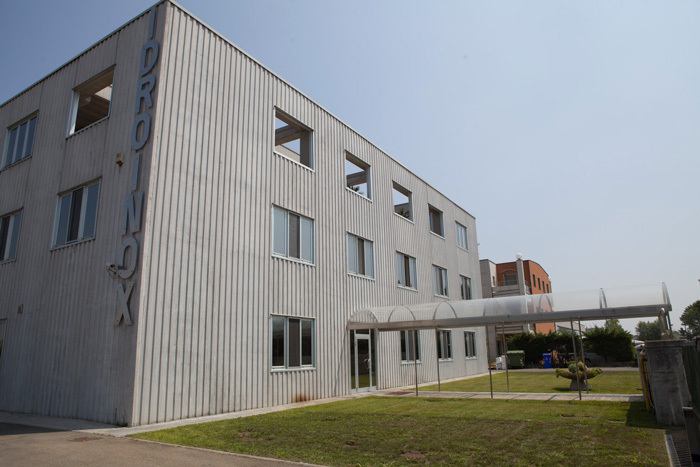 At the same time, IDROINOX IMPIANTI enlarged its range of devoted products to customers with the distribution of osmosis plants and steam and ozone generators for pharmaceutical and industrial uses. IDROINOX IMPIANTI Srl highly specializes in design, manufacture and installation of stainless steel plants for the pharmaceutical, food, cosmetic and electronic industries. Our company works independently or in partnership together with European engineering studios and general contractors, addressing the leading national and international companies in the field.